Which sounds better? Which sounds reasonable and less scary? I am describing the same ideas in both cases, but in the first account I explain the strategy. In the second I am using scare tactics riling up a susceptible group of people into believing their benefits will actually be reduced. Which of the above do you hear most often? A picture of minorities in America … should we be asking why? Diane Jones points out that most of us never reach the SS deduction cap. She must be too young to remember that as recently at the 1970’s, most of us did reach that cap. Usually around October or November, we had more cash in our pockets. She also missed the key point that SS benefits are not only based on earnings but the formula provides a higher benefit on lower wages. One way to preserve the Social Security fund is to take off the limit and everyone pay every paycheck into the FICA tax. This will produce quite a bit more money into the fund. Then take the fund and put it back into a dedicated fund it was set up to be. Compounding interest that the money not spent on current generation will increase the fund also. The tax is already there and most of us don’t make the limit each year. This would help the new generations coming up. It is NOT a dedicated fund since the 1960’s. Rep. Lance stopped Congress from dipping into it again this year. It was a big todo over it. But he got enough friends to back him up. Your facts are a little off here. If the cap on taxable wages was removed it does not fix the solvency problem, a large part, but not all. To do that means some Americans would be paying more in taxes, but not get more in benefits. 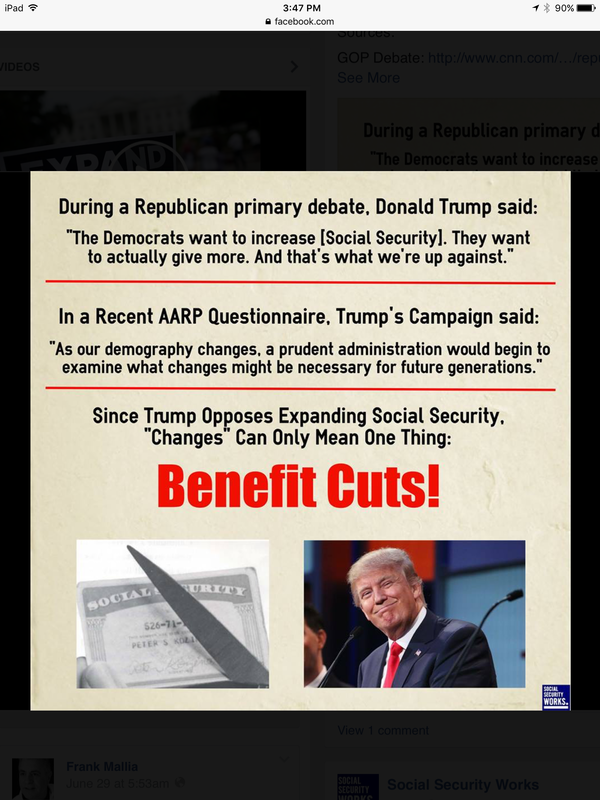 This turns Social Security into a welfare program totally counter to what it is supposed to be. As far as funding goes, SS has been funded the same way since the beginning. Congress hasn’t stolen the money or anything like that. Before 2010 incoming taxes in excess of those needed to pay benefits were invested in US Treasury bonds similar to Savings Bonds. Those bonds pay the Trust interest ($98 billion last year). Just like with Savings Bonds, the government uses the money for general expenses. Since 2010 there is no excess tax revenue and no more bonds have been purchased, but the interest is needed today to pay benefits. Between now and 2034 the Trust will redeem all those bonds to pay benefits. You mention that the money should have stayed in the Trust and just earn interest. Who or why would interest be paid without any investment?